The Hebrew-Wisdom Dictionary: 9. “Basar” (Part Three) – Yum, this body tastes amazing! Scholars love to claim that the Hebrew Bible had no clear notion of “the body.” This claim, however, fails to see how in English too the word “body” might pickup different meanings. Sometimes “body” means the entire physique, but other times we use the word to exclude the head and limbs. Likewise we can find a “body” in the street and still tell the police that there was “nobody” there at the time… Nonetheless, despite a body of evidence, we are quite sure that WE have a perfectly clear notion about what a body is. 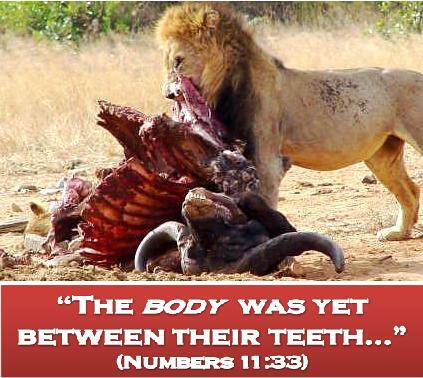 There is no reason in the world to allow for less in the Ancient Israelite mind. 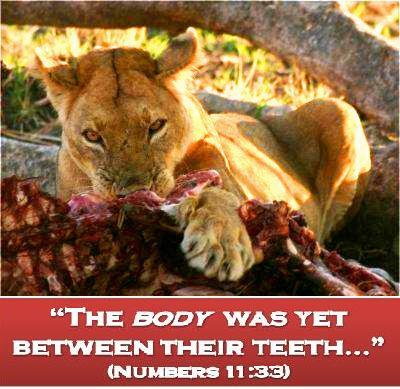 Moreover, these same researchers have failed to identify the fundamental biblical concept of the physique as a combination of the skeletal bone-frame and the soft tissue body, etzem and basar. This notion—which we learned in the previous post—is perfectly consistent across the entire canon. Allow me to reiterate. 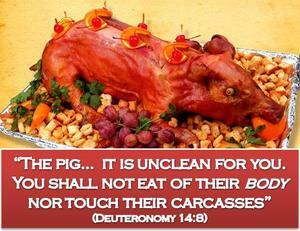 In many verses using “meat” for basar would be more than acceptable (try it, for instance, in the pig verse above). Rarely, it’s even unavoidable. What I care about are the non foodstuff verses—which we will return to, with vigor, next week. In order to redeem them, however, from the clutches of “flesh” we must see how, for the ancients, “meat” was a superfluous notion: eating flesh was no different than eating bodies, or body parts, or bodystuff… they would hardly understand the modern distinction. Indeed, ask yourself the following: Are we ourselves perfectly at ease calling a serving of broiled cow-brain, or goose liver, or bone marrow, or tong, or ox testicles, or frog legs, “flesh”? With these, doesn’t it feel much more like eating body-parts? Even regarding muscle-tissue, we speak of “eating ribs” (a body part) and not rib-meat. Well, in antiquity “shoulder roast” felt quite the same. So next time you pickup hamburgers from the supermarket—think dead bodystuff... J If nothing else, you might feel an esthetic dissonance in slapping on it a slice of cheese, made from a mother’s fountain of life. Face is a concept of central importance because of its pervasive influence in interpersonal relations among Chinese.